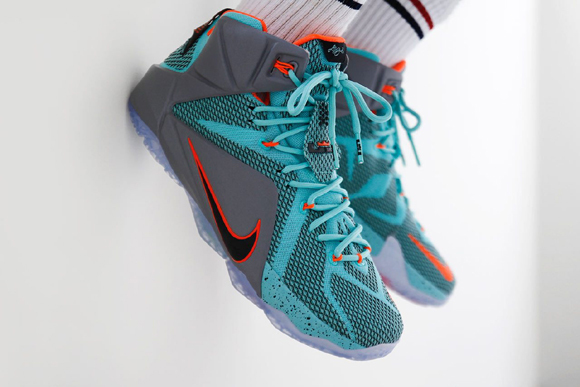 After a few delays, the Nike LeBron 12 ‘NSRL’ is finally available to purchase at the Nike Basketball retailers listed below. 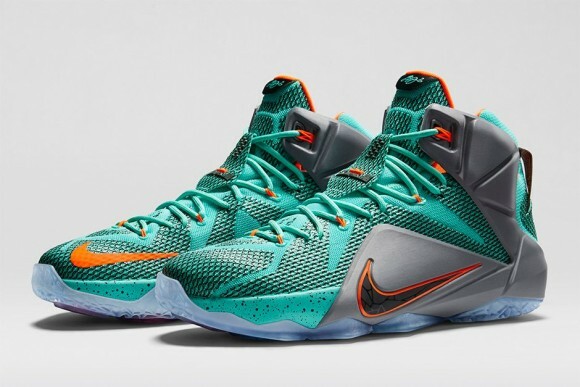 The Miami Dolphins-like colorway was initially set to be the first in the line to release, but faced some cosmetic issues that forced many retailers to send pairs back to get fixed. The sneaker nickname stands for Nike Sports Research Lab, where Nike technologies (like the Hex Zoom featured in the shoe) are created.